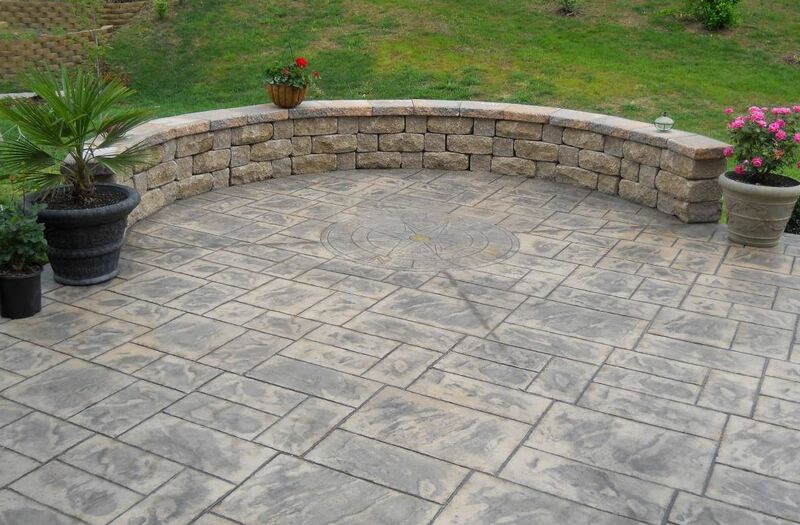 In search of a stamped concrete contractor to install that patio you've always wanted at your home here in Newport News, VA? Not only do we resurface and repair driveways but also pour overlays, slabs, pool decking and much more. Want to know more and find out about our ongoing deals? We're at (757) 347-8337 so call, and ask away. Also, for every inquiry we provide a free cost estimate. Don't want plain cement or already have some work completed? Not a problem! We also install patio pavers, imprint and replace existing cement work. ​If you are in need of a concrete company in Newport News, VA, you'll want to make sure you're hiring the someone who's capable of doing the job. It's a good idea to contact a few different contractors so that you can ask them some questions. What kinds of questions should you be asking? Here are a few hints, if you want to connect with one of the top services in the Newport News area. When you start your conversation, you should ask the company about their history. How long have they been in business? What about in the area? If a company has been in business for quite a long time, then they probably have a lot of experience with this sort of work. Their organization should be running like a well oiled machine. You should try to find a company with a long history, but you should also look for a company with experienced employees. If the company's employees are used to working with cement, then they may be trying to figure certain things out. If a company's employees have several years of experience under their belt, that's a great sign. Ask about the employees that are going to be handling your job. See if they are experienced enough to tackle a job like this one. Decide whether or not you trust them to get things done. Before you hire a company to take on a job like this one, you should find out what kind of equipment they're using. If you don't know much about concrete services, you should write down the names they give you. Research the equipment they're using. If they're using new, state-of-the-art equipment, that's an excellent sign. They'll need the right equipment if they want to get the job done. You should ask the company about their rates before you hire them. You should be fully prepared when they give you your bill. The price they charge you should be right in line with what you expect. Most companies will be more than willing to give you an estimate before you hire them. While that estimate may not be exact, it should be pretty close to the final amount. If you ask for an estimate in advance, you'll be able to figure out whether or not you can actually afford those services. You may also want to ask about when payment will be do. If you're worried about the expense, you should see if they take payments or have financing options. There is a chance that you will be able to put all of this behind you. There are some concrete companies with a long list of clients. While these companies are often great at what they do, they won't always be able to get to your job right away. Before you commit to hiring someone, you should find out when they will be able to do the job. If they won't be able to work with you for a while, you might want to hire someone else. It isn't always easy to find the best company. especially if you don't have any previous experience. There are a lot of different options available. With that said, you should be able to identify the right company if you ask them the right questions. Use the questions above, and you'll be in excellent shape.